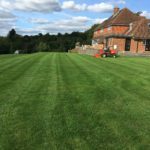 Total Lawn Care are now able to offer a high quality and reliable grass cutting service in the Cranleigh, Guildford and Surrey hills areas. 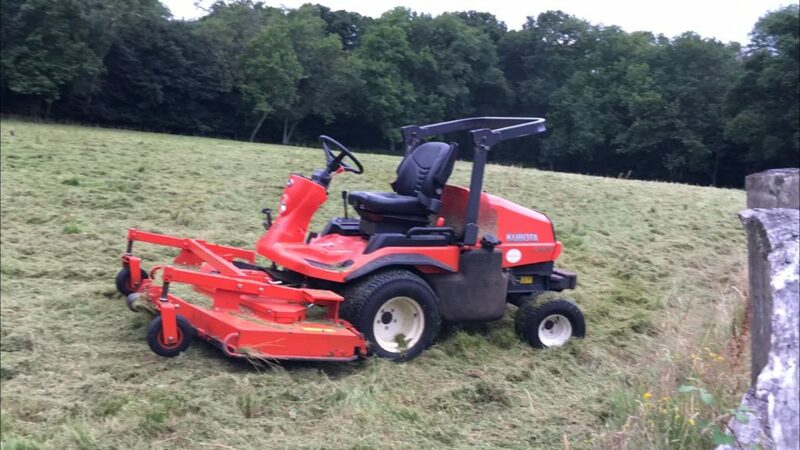 With our Kubota F series 38 horse power mower, we can cut large lawns, paddocks, fields, and even cricket and football pitches. Surrey Total Lawn Care Paddock cutting. With the option of cutting very deep grass as well as finer large areas of lawn, we are able to offer our clients flexible mowing. Perhaps you just need one or two cuts per year just to keep the long grass down. Or may be you have 5 acres of park land that needs regular mowing. Either way, we have the tools to do the job for you. We are, of course, able to add our fantastic lawn care package as well as weed treatments and even patio cleaning into the contract so that your out side space is kept in a tip top condition. Not to mention that we can clear leaves in the autumn, and even take them away for you. All in all, we offer a total lawn care solution for the entire year. As we are a local and independent company, we are able to offer you the customer a truly flexible service with a rage of mowing equipment. For Paddock and field cutting in surrey, we have invested in top of the range commercial quality machinery. We are perhaps the only company with this kind of equipment as we have seen the need for this kind of service over the years. To find out if we are able to help you with your grass cutting requirements, please Contact Us today.